Huge Savings Item! 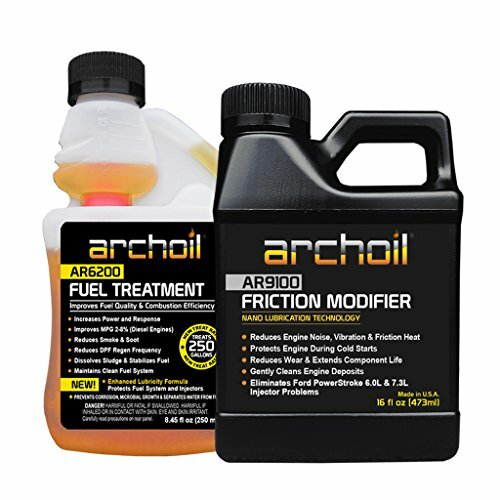 Save 17% on the Archoil Starter Kit - 16oz AR9100 Friction Modifier + 8.45oz AR6200 Fuel Treatment by Archoil at Beaver County Collision. MPN: AR-START. Hurry! Limited time offer. Offer valid only while supplies last. Regular use of AR9100 Friction Modifier and AR6200 Fuel Treatment together will help protect your engine and fuel system and also boost performance. If you have any questions about this product by Archoil, contact us by completing and submitting the form below. If you are looking for a specif part number, please include it with your message.